A simple Indian woman's complexes are explored with warmth and charm. Sridevi brings to us a home-maker's self-doubt with a wonderful performance despite the squeak in her voice and distracting accent. Sridevi is back! And I am not even a Sridevi fan, as in back in the days of Madhur Dixit vs. Sridevi, I was clearly in the Madhuri camp. Yet, I am excited to see her back. There is more meaning to these come backs by women leads from 15-20 years ago who took time off for family and now are playing their age. Okay, maybe a little younger, but nevertheless, it is exciting to see them trying stuff different from what they were known for. English Vinglish is going to take a dab at the importance of the English language in the urban Indian context. It is also using diaspora to accentuate this issue as most of the film is set in New York. It also looks like a tribute to the Indian housewife, who chooses to cater to her family but is looked down upon my most of the people around her. Sure, the condescending attitude of urban India is changing towards her, but it is nowhere close to gone. All these issues are interesting by themselves and in a way they are related to each other and can form an endearing coming of age story of an Indian housewife finding her way in New York. English Vinglish also seems to have a setting that reminds me of one of my favorite TV shows from when I was growing up – Mind Your Language. The signature tune instantly recalled and very fresh while even thinking about the show. Hopefully, the film will have a decent tribute. The lines used in the trailers, both tickle and seem insightful. Same goes even for the first look of the film, even though it was a little long. I only hope the film doesn't go all jingoistic on us and stays on neutral, sensible, logical ground. Meanwhile, Amit Trivedi seems to have again done a decent job of creating entertaining music. Milliblog - "Competent vompetent soundtrack from Amit Trivedi." dunkdaft - "A perfect - verfect soundtrack for the movie"
Apun Ka Choice - IANS – "3.5/5"
Koimoi – "3/5" Bollywood Life – "3/5"
The Indian mom gets her due from Hindi cinema. Finally. No this is not the educated, job-and-home juggler, modern 'aaj ki naari' (Today's woman). This is the one whose full-time job is to makes homes, the one who is so humble about her 'small' business on the side that the rest of the world is only willing to dismiss her achievements. The woman who has never found expression for her confidence, until one day a slight window of opportunity opens up. English Vinglish takes this opportunity and ever-so gradually talks to us, her family, about our responsibility to empower her. While doing so it keeps the atmosphere light and lets you spend 5 weeks with Shashi (Sridevi) and her gorgeous homeliness. Yes, I saw my mom, my nani (grandmom), my aunt, my cousin and countless other enterprising women in Shashi - warm, modest, coy, technically uneducated but sharp women. She is underexposed to the world outside and yet has a mind so broad, and an attitude so simple and clear that it would make some of the urban seen-the-world, know-it-all snots ashamed of their chauvinism. She is put down by those closest to her and that affects her more than the deep love and support that others might offer. Her pride is hurt and you see her swallow her hurt and even take blame to keep harmony. She beats herself up, for not having stuck to her "should haves", before anyone else could get a chance. And yet given a chance, this meek, submissive lady can fly high if she somehow manages to find freedom. If guys out there think this a women's film because it sounds all touchy-mushy. You might want to watch it so you can empower the women in your life and see your world from their eyes. Sridevi brings out complexities within the life of a simple Indian woman with grace and elegance. Even if it were for a total of just 30 seconds, her dance is much more graceful than many of today's top actresses put together. Sure, her squeaky voice is distracting enough to make you wonder if Urmila Matondkar has dubbed for her in a not-so Marathi lilt in her Hindi. The constant stutter/hesitation and lack of confidence her character demands can seem a little repetitive. But her gorgeous eyes make up for that. And I just don't mean their shape or the way they are made up, but what they convey, the emotions they stir within. I don't know whether to thank her or be disappointed that she has made the typical housewife, larger than life. I doubt she could achieve any of this if she weren't provided with material to play with. Quite a few parts of this simple story manage to convey a lot about the relationships and their dynamics even though only a few minutes are spent on them in terms of time. I especially enjoyed Shashi's relationship with her son and the character of her spirited mother-in-law. On the other hand, the gay effeminate character is caricaturish and the charming, romantic French man is too good to be true. But, if that's what it takes to balance it off with a positive attitude towards sexual orientation and subtle, cross-border love, so be it. The other characters like say her husband and daughter were the stereotypical male chauvinist and ruthless teenager. However, we do have to realize that these stereotypes do find their place in every other household with some or the other variation. And some of them don't necessarily have an instant change of outlook within 5 minutes. I loved the pace at which English Vinglish goes about it's business. No rush, no great strides to cover lots of ground. In fact, at half-time, all you've seen is whatever you know from the trailers in terms of plot. Shashi Godbole is being put down for not knowing English. And you wonder how they are going to close all the threads in just over an hour. Yet, you haven't gotten bored. Even in it's entirety the plot has just the slightest curve in its arc. I'd have liked it better if I didn't know some of the punch lines from the trailers or they had a few more of them. Also, another slight sore point is that it does tend to get a little preachy, even as it gets masked under conversations and real-life speech situations. I also wonder how it'd have been to see Shashi do what she does while living in India, without using the American 'support' system as an anchor. With that we come to the question of the importance given to the English language in English Vinglish. On the one hand, I could get distracted by the supposed moral of the story, and the overt emphasis on the language. Because, surely an Indian home-maker in Pune, can get by without HAVING to know English and she won't lose much face either. The exaggeration is made to make a point. But Shashi's need to learn English is my mom's want to learn driving is my grandmom's drive to learn how to play the harmonium at age 75! It's not about the English or the car or the musical instrument. It's about confidence, it's about independence, it's because they didn't get to do it then, it's about being proud of yourself and finding self-worth, it's about feeling good about yourself. And for the rest of us, it's about giving them space to do so. _viju: Light yet charming movies like English Vinglish need to be made more often. Thank you Gauri Shinde and Sridevi. And also Amit Trivedi. WisestCaptain: Saw English-Vinglish! I rate it Very good....however Sridevi was not a convincing Maharashtrian. VishwasBodhayan: "ENGLISH VINGLISH"- Simple, Striking and touching..
vijaywishwell: Watched English Vinglish 2day.Loved It thought more things abt human value than abt English. Must watch for all with their parents. urvisoni697: saw english vinglish .. its an awesome film.. mustt watchh!! UnnamedEntity: Watched off English Vinglish. Did not cringe or face palm at any point, laughed out loud several times and smiled through most of it. UMarthaa: Aw, English Vinglish is such a cute film! toshupost: English Vinglish - A must watch, good family movie after a long time. TheNameIs_Tony: English Vinglish leaves u with a big smile on ur face n a content that its worth the watch and ur 60 bucks..was great to see Ajith in it..
TheHumerus: English Vinglish. Good stuff. Only if Sridevi weren’t sickly thin. TheFilmySharma: English Vinglish is one of the best directed movies in recent times. Simply loved it ☺ guys please watch it asap! tetisheri: English Vinglish reminded me why learning French was such a wise move. A winner is me. Tejasvita: English vinglish was a breath of fresh air with its non-OTT kinda situations and simple, sincere treatment. Loved it! Sridevi was super! tashaa26: I loved sridevi in English Vinglish! Awesome acting sridevi! !u absolutely rock!! TARANDEEP17: English Vinglish. Sleak nd simple Mvie. Gr8 mvie..
Taran1647: English Vinglish is a really good movie! Highly recommended! suryamurali: English Vinglish is a cute movie. Sri is mindblowingly gorgeous & that li'l kid, ooh wish I could take him home. AB's cameo is nice too. SuKu18: When u stop loving yourself, u look at things around u and get attracted to them. Credits - Sridevi - English Vinglish So true ! sujoy_g: saw ENGLISH VINGLISH.. very nice film. you must see it, if you haven't already. hawa hawaii is back and how! sridevi is outfstanding! Su4ita: Do yourselves a favor, watch English vinglish. If you know love, if you know honesty and if you know kindness, you'll identify with it. ssspk: English vinglish ... can watch once more ! sreeram9030: Such a lovely and inspiring message oriented movie ENGLISH VINGLISH.must watch Atleast once. soumya_ahuja: English Vinglish is a must watch for every Indian family.. Solid, Sweet, Simple and Self..A wonderful comeback ! soumna: English Vinglish was good too. Sophie_Choudry: Finally saw English Vinglish!What a lovely film & my fave Sridevi is just outstanding..A masterclass in acting..It's like she never stopped! smtmunjall: English Vinglish is a must watch lighthearted movie with a great lesson. Amitabh B and Sridevi nailed it. Shubhammehta007: Great comeback #Sridevi English Vinglish truly a light weighted awsmee mvie! shridharpandey: English Vinglish - AWESOMESS!!! shivangichavda1: Watched English Vinglish! It forces you to retrospect , introspect your behaviour to ones who has language barrier! shit_iz: English vinglish hits the right notes in its own fresh style in countable number of scenes but well, boring. ShaadiShuda: English Vinglish made me smile a lot of times. Must watch for people who invented #grammergandu. Serendipeety: English Vinglish: A very hearty and delightful movie! Leaves you with a smile that doesn't wear off for a while. SeethaTweets: English Vinglish will surely leave u with a big, everlastin smile :) Loved it :) A MUST WATCH ! saumyatandon: This has been a year of woman centric films. Kahani, heroine, English Vinglish, Aaiya who says hero's make movies sell. A good film does. SatyarthNayak: Sridevi was one of those rare actors who could shine even in a bad script. And when she gets a fab script like English Vinglish, it doubles! sanybaby21: #MyReview saw both #KLPD n english vinglish.both r family entertainers n fantastic..enjoyed a lot! SalmaZaidi: Watched English Vinglish in the land of English men. A very sweet movie and a must watch...Sridevi rocks! sahibaskaur: English Vinglish !!! F**king Brilliant !!!!!! Loveth thou my Sri Devi!! sadpidnas: English Vinglish...predictable but heart-warming and fun! sachinnotty: English Vinglish is so charming...formulaic but feel-good. Has a big beating heart at its centre, and that's Sridevi, who's just terrific ! s0mnath: English vinglish 10/10 .. Atti uttam chalchitra !!! rutujajagtap: English vinglish... Super movie.. Great work--- Gauri Shinde. rocksvalley: English Vinglish was an eye opener.... fantastic performance and need a standing ovation too! Hawa hawai is back wid a blow. Rishabh_Nigam: #sridevifanclub English Vinglish is a must watch.... n #Sridevi is absolutely fantastic!! richamohanty: Sridevi is back and how! English vinglish is a must watch! ReetEMA: Barfi, Oh My God and now English Vinglish. What a bollywood treat! rakeshkavin: English Vinglish...realy an awesome movie Well directed n casted. A real feel good movie...a must watch..
rajanib3: watched movie english vinglish today,liked it veeerrrrrrry much sridevi was damn gud. rahultripathi43: English Vinglish a Visual Delight :) Fantastic performance by the Lady with the beautiful Eyes Sridevi!!! priya_kale: English vinglish. I liked viked. Worth a watch shotch. First movie in which sridevi was not annoying vannoying. Ok, now I'll stop vop. PRETTIJAIIN: English Vinglish is a must-watch film.It is extremely touching!Original&interesting!Amazing comeback by Sridevi! preetishenoy: Absolutely loved English Vinglish. It is after a very long time that a bollywood movie has managed to stir deep emotions in me. Brilliant. PratikKGupta: Watched English Vinglish. A Beautiful movie with a beautiful message!!! PrakashS1980: 'English Vinglish'. It's warm and fuzzy, and leaves you with a big smile on your face. pragati_shukla2: "English vinglish", an ordinary story presented in an extra-ordinary way.. a must watch movie..
piyush_spce: English Vinglish is just awesome. percepshun: English Vinglish is a nice movie..the kind from which you learn a lesson and enjoy too with no guilt pangs attached..
pawaniitdel: Watched English Vinglish..A Nice feel gud movie.. Sridevi Welcome Back..As elegant & Charming as ever..Flawless performance..
parthasinha: English Vinglish is a sweet movie - srideviakes laddos through the entire movie. paediatrix: Seriously, Bollywood is on a roll with first Barfi! and then English Vinglish. Two awesome flicks back to back. Now just need to watch OMG! OhMrRaja: English Vinglish was brilliant . nilimakhot: English Vinglish...has shown to the world again that,Indian women are good enough to manage their HEART,HEAD,and HAND..(HUSBAND). nidhi_hasija: What a grt day yesterday! Too many things! Inked, English Vinglish n WI winning! It had been a remarkable day! Moumita1: Happy to see one of my favourite actor, Sridevi, come back with such a lovely movie, English Vinglish. @gauris you worked wonders. Loved it. ModjoG: English Vinglish, a beautiful movie. Indian cinema finally coming of age! mit21: 'English Vinglish' a must watch. Cheerful, neat and good directed movie. Gauri Shinde good job!!! MissyPBS: Just watch English Vinglish. Superb movie n great come back by sridevi n great role by big b! mikig2: English Vinglish turned out to be a really good movie. mehta_world: #English #Vinglish: #Sridevi is back with a BANG!!! Every housewife in search of self-identity and RESPECT, should watch this!!! maunderingmuser: Absolutely delightful performance by Sri Devi in English Vinglish.. The woman does have talent.. And of course, #NYC is truly spectacular! Mainagulati: english vinglish is a beautiful film..sridevi,the director gauri,the man who plays her husband,her niece..everybody is excellent. MaidumJi: Loved Sri Devi in English Vinglish. Feel good film that's actually a good watch! MaAlterEgo: Also English vinglish is a one time watch. Pretty decent movie. Sri devi couldn't have chosen a better comeback. LohitChandran: If movies like English Vinglish are what female directors can come up with, I say bring on a whole battalion of them!! leowdicap: Craving another helping of a @gauris's English Vinglish! LadyOldMonk: Decent movie, this English Vinglish. kubrasait: “@GOLDIEBEHL: Absolutely enjoyed english vinglish have to confess I wasn't a huge sridevi fan before ...” I agree! kirankhurana: English Vinglish is all Sridevi.A perfect portrait of a mother,wife, daughter-in-law&'girl friend'.Must watch 2 feel her silent love to all! keyahtzee: I watch english vinglish. I like. You go watch shawch too. kaushikram89: English Vinglish - good film, nice theme! Sridevi with another good performance! kasirajhmg: English vinglish.. The characters are it's strength. Wow a feel gud movie, u will love it. karthyr1981: Watched English Vinglish today. Awesome movie and a must movie for all to realise love, language & family. Kala0612: English Vinglish... gets two thumbs up from me... had some good laughs and luv'd seeing @sridevi back on the big screen! kaaliya: I like English Vinglish. The worst actor is probably sridevi. jineshwarkapale: English Vinglish . The mother of all comebacks. SriDevi is fabulous. jhunjhunwala: I have decided to give Oscar Award to English Vinglish. jenniferreuben1: English Vinglish teaches us so many great things ladies....The most important "keep men where they belong".we r not door mats! ishaalmighty: English Vinglish dekh vekh ke bahut Mazza Vazza aya.. Dont miss it. Yeh film meri aur aapki hi kahani hai. Insane_Insan: Just Loved English Vinglish !! iamvinays: Just returned from English Vinglish. Loved it. Not a big fan of Sridevi but hats off to her for a fabulous performance. Hyper_aice: You know what? I really liked English Vinglish. Glad I watched it with my parents :D Flawed but full of heart. Seriously watch with parents. hyd_nawab: English Vinglish should go for Oscars insted of Barfi. Fab work by Sridevi. She is back with Bang. Flawless performence. Must watch. hisownpace: English Vinglish super duper. harshahv: In other news, watched English Vinglish. A very nice movie. Do watch. GV_Chaitanya: Sridevi.. take a bow... English Vinglish .. An absolute winner..
Guljansewani: Sridevi > Priyanka Chopra, Kareena Kapoor and all the big names. English Vinglish. what a lovely movie! GulatiChetna: Just saw English Vinglish. Nice, feel good movie. Why has it been getting such bad reviews? ginni67: The best lesson english vinglish taught was true passion and to love urself maintain self respect and yet remain loving n soft hearted. gilesmic: English Vinglish was so good! What a wonderful film. Sridevi was beautiful and the cameo from Amitabh was too funny! getpn: Good movie - English Vinglish a must see of the season. Sree Devi acting superb and direction cool. Check it out! FilmLoverAarthi: Saw English Vinglish yesterday and loved it! I kept wanting her to yell at her husband though. He beyond deserved it! FaraRK: Standing ovation at the end of English Vinglish !!! FaizMAhmed: English Vinglish ! What a good indian movie !!! #sweet ! elusion: Loved English Vinglish. Light, feel good, perfect. And best part was they featured Gould Plaza with both my schools Stern & Courant at NYU! disco_deewani: English Vinglish is such a cute movie. One can't be judgemental about it. DiptiJindal: Just watched English Vinglish..A sweet simple story told so well n Sridevi- a powerhouse performer..speaks with her eyes!!! Simply stunning! diiptijhangiani: This Diwali I am soo rooting for English Vinglish Ladoos and Barfi gifts!! desh: English Vinglish and a randomized party at home :). Weekend well spent. Delhi_Bwoy: Saw 'English Vinglish' last night. Sridevi is brilliant in the film. Amazingly, It's one of the best films of 2012. Verdict - 5/5 ! debasish_mishra: Watched English Vinglish- excellent watch for the entire family. Dan_siddiquee: English Vinglish...worth a watch..
DaliaEzzat_: Just watched English Vinglish. Gauri Shinde, take a bow. Sridevi is too good, leaves you speechless. Curious_Saint: We need English Vinglish kind of cinema in India. Not the ones who dumb us down & fool us. Intelligence in Cinema = Entertainment. codyhulk: Another anxious Monday with another wait of a good week. Saw English Vinglish - Brilliant movie and @SrBachchan was too good. CJ_K1: #English Vinglish a good film after such a long time! Welcome back Sridevi! chi_chabell: OMG,,,film fav pertama gw tahun ini,,,English Vinglish,,,fantastic movie !!! charlesbosco: OMG English Vinglish was amazing!! I loved it!!! Sridevi is such a great actress!! The French guy was kool too!! ChalHuttt: Just saw English Vinglish - A simple story, fantastic characters, lovely dialogues, neat direction and 1 awesome Sridevi! bsgh1107: English Vinglish is beautiful ! brij009: Watch English Vinglish with family ...understand, think, feel and enjoy. bluenatcafe: English Vinglish came across as a necessary eye opener at this point in time. binaryberries8: Vowels just like bowels . de english de english . .......some gems from English Vinglish . Must watch . Bikau_Launda: English Vinglish mast hai be... if you haven't watched go and watch. BasantiLovesDog: Achchi thi :P RT @ZeroCoverage: Itni buri thi? "@BasantiLovesDog: Can't believe this English Vinglish made me cry!!!" badnecklace: Aside from a little feminist rage at the 'return to desi status quo' themes, I loved ENGLISH VINGLISH. Very sweet film. avirup_das: Gauri Shinde is right: she is a better director than R. Balki. English Vinglish is understated and superlative! AshChakri: English vinglish super duper!! arunskaimal: English Vinglish leaves a very pleasant after taste . Savour the ladoo , if you may ! arjunmogre: Loved English Vinglish!!! My #favourite #film of #2012 !!!!!!!! arastoic: English Vinglish is not just about a woman learning English. It's about a woman's journey to regain her self esteem. 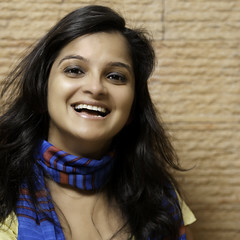 appadappajappa: The hero of the film, really was director Gauri Shinde. English Vinglish belongs to you! :D Ammmmazing! anurag781: After OMG, English Vinglish has really raise the bar in Bollywood. Kudos B-Town. amitsbhagat: Watched English Vinglish with Mom & Dad. Everybody should take their parents for the movie. Damn good ! AlishaCoelho: English Vinglish was charming and poignant. It moved me even more than Barfi did. Pass with distinction, indeed. ahsandaredia: Everyone needs to watch English Vinglish, it'll make you appreciate both Hindi/Urdu, English and your communication methods so much! ahmednkhan: Saw English Vinglish Guys the movie rocks !!! Must c kinda stuff !!! Full tym pass !!! adxo__: English Vinglish is actually one of the best Hindi films I seen in so long. so cute. Abiraame: All of you go watch English Vinglish. 1983supreet: #English Vinglish Nice cameo by Sridevi . It is Simple, Pure Emotions and Substantiating English is not fear. Must watch all women. shivya: English Vinglish - Feel good movie, but upholds all stereotypes of the typical Indian family. A daring end twist would've been awesome. R_Diaries: The innocence in Sridevi's character in English Vinglish couldn't have been played better. Not a #MustWatch but a good one nonetheless. proximoron: English Vinglish. It's a decent film. I think the rave reviews overdid it a little. crystalunicorn: Saw English-Vinglish today. Fluctuatingly fun and boring. Worth a watch, though. Sridevi is fantastic! RuthSaldanha: English-Vinglish = Far too sentimental version of Mind Your Language. Yawn. magicaranya: Watched English Vinglish. Not worth your effort. Or time. boozemotion: And before this excitement, i saw English Vinglish today and such a lengthy and boring i felt. Some parts are good though! Yay! Thumbs Up, by Harpreet Singh : Awesome - Dont miss it on the screen ! Yay! Thumbs Up, by Rahul : Must watch. Yay! Thumbs Up, by Sanya : Amazing! One word! Mrs. Shashi Godbole (Sridevi), mother of two, maker and seller of snack items, finds herself ridiculed and thus inferior. She lands up in New York and now HAS to learn English. Amitabh Bachchan's cameo. Sweet. Despite the over-acting, I had a good laugh! Ang good to see a co-star from yesteryears lending support while easily slipping into the shoes of a co-passenger. That Shashi is not a nag and is pretty cool and accepting from the beginning. The French man and his dreamy eyes! That Shashi doesn't need only intermittent love. That Shashi doesn't even consider what she'd like for herself, she doesn't give herself a choice at many times even though there might be one. That Shashi lies even though she doesn't need to, just because the default for her has been that people will laugh at her. The emphasis for need of equality in a marriage – not only conceptually but in reality. What Amitabh Bachchan's character arrogantly tells the American immigration officer. I doubt anyone would get by with that one while entering a country. But hey, it did get those few laughs from the audience. This is what I meant by jingoism. The Manhattan translation is silly! The way New York is covered – pretty ordinary. The focus on the brand name when the brand name occurs in the Manhattan song – quite unimaginative. The use of handheld camera got a bit annoying. The highlight on Shashi's "good question". It was a good question alright, but the highlight looked like the writer was patting her own back for coming up with it. Shashi's nieces who have grown up in the US don't have an accent while speaking Hindi. Shashi's attitude towards her daughter. Though focusing on that would have to be a different film altogether. The dramatization of the laddu scene in the end. Shashi sleeps in a sari, really? Maybe...but difficult to digest given her socia-economic strata that she wouldn't own a night gown! This is an example of what I mean by exaggeration of the situation in this film. It looked like Shashi traveled to New York in business class and the family flew back in economy. That's an awfully nice husband. I judge the business class based on the glass glass, the wine, etc. Sridevi's saris are simple and so gorgeous. For once, I didn't mind that a regular at-most upper middle class character carried enough saris to not repeat a single one in her 5-week stay in New York. Concept: The empowerment that an Indian housewife needs in trying to fit in with the demands of the world around her. General Look and Feel: It's bright and live. Meera has posted 4 comments and has rated 0 movies. See Meera's page for more details. Simple movie. Good Clean Entertainment. Too sweet to miss ! Harpreet Singh has given this movie a Yay! Thumbs Up(Awesome - Dont miss it on the screen !). Harpreet Singh has posted 23 comments and has rated 10 movies. See Harpreet Singh's page for more details. Mansi has given this movie a Yay! Thumbs Up(Delightful Cinema). Mansi has posted 26 comments and has rated 16 movies. See Mansi's page for more details. I wasn't spell bound by it, but I can so imagine it happening to fortunate ones for whom Sridevi's voice and dialogue delivery isn't a distraction. And like you said, it's ultimately about how it's told. @nkit has given this movie a Yay! Thumbs Up(Story with a heart at the right place...do watch out). @nkit has posted 7 comments and has rated 7 movies. See @nkit's page for more details. idlebrain jeevi says:: If you are a kind of guy who like films like Cheeni Kum and Paa, you will end up loving English Vinglish. A homemaker is the most neglected person in Indian scenario. This film is about how a homemaker proves her mettle and creates a sense of pride and self-esteem for herself. At the same time, she doesn=E2=80=99t hurt the system and people around her. On a whole, English Vinglish is a sweet, progressive and an entertaining film. A must watch!!! vinay has given this movie a Yay! Thumbs Up. vinay has posted 8 comments and has rated 1 movies. See vinay's page for more details. The 4th film i need to catch up with after GOW,Barfi and OMG!! 2012's really giving us some small scale gems....A very Happy Centenary indeed! I liked it. Amazing! Watched it at Wave Cinemas. Shinde has really proved herself. Amazingly nice. Sridevi's selection has been superb! Sanya has given this movie a Yay! Thumbs Up(Amazing! One word!). Sanya has posted 8 comments and has rated 8 movies. See Sanya's page for more details. Rahul has given this movie a Yay! Thumbs Up(Must watch.). Rahul has posted 87 comments and has rated 16 movies. See Rahul's page for more details.